The views here are to die for. If you prefer a seasonally-changing view of authentic rural Bali than a view of the ocean (although you can see this in the distance too) this is definitely the place for you. And there are just so many spots to enjoy those views from – whether in company (the glorious rooftop at sunset is sociable and divine) or ‘à deux’ during some quiet time away from the rest of the group (seek out the half-moon seat tucked out of sight under a red-flowering frangipani tree below the pool). The soft grassy lawn with its football posts and the fabulous home cinema room/playroom offer further treats and diversions for younger family members. The roof terrace on the first floor is scorching during the day as the sun beats down upon it with no mercy. The faded cushions on the loungers reflect the strength of the sun so wear sun cream and watch your feet! For similar reasons, the two upstairs master bedrooms, although air conditioned and fitted with blackout blinds, certainly get a little hotter than the other four. The floors throughout the house (and stairway) are black cement which can get very slippery when wet so take care and keep an eye on young children. Thank you Villa Mana for a great experience, everything has been perfect. Chef is exceptional - all the food has bee very fresh and really yummy. Staff have been really friendly and accommodating. The villa itself is amazing. Every room and floor is well thought out - Its placement and clean. Waking up everyday after a restful sleep and just enjoying looking into the rice terraces. Today is our last day and I will definitely miss Villa Mana and the wonderful staff. Made the manager has done well in making sure we felt at home. Ayu has been a lovely help and always with a smile, every one has beautiful smile. Putu the chef is a big part of making our stay at the villa memorable. We have eaten at many restaurant in Bali and all over the world - Putu's culinary expertise is with the best. Our family hope to come back and enjoy Villa Mana. For now, sadly we have to say goodbye, may the new year bring abundant blessings to all. Friendly staff, great view, beautiful villa. Thank for making our holiday memorable with the amazing service. Will be back for sure. This is my second visit to Villa Mana and it has been a wonderful experience. Service is exceptional and the staff are all really accommodating and friendly. Also really enjoyed the dishes prepared by the chef. Will definitely be back again. Great service and excellent food. Amazing hospitality and gorgeous view and villa layout. Good cook as well. We and our family and friends really enjoy our stay in Villa Mana. Would love to come back one day again. Thank you - Terimakasih. We had a fantastic trip which truly exceeded our expectations. Everyone was so friendly and attentive. I know we all have a plan to come back again. You made for a wonderful holiday. Thank you again. What can I say.. you are all amazing. Staff are 5 star from start to finish. Courteous, friendly and highly professional. I will come back and will recommend to everyone. Melkys the best, Chef is awesome. Thank you for making my daughters 18th birthday such a wonderful experience. I am grateful and will have great memories to bring home. This beautiful villa made everything so beautiful but the sunrise made the trip so worth it. Thank you so much we will cherish this truly forever. Great vacation, great view. We had wonderful time, staff are super nice and the food is excellent. We loved spending everyday by the pool. We had an amazing anniversary party and all guests loved the food. Thank you again chef and team. WOW the peace and layout of the villa is just amazing! It was the perfect Bali experience. Staff were very helpful and the food was great. Our group of 20 something from London were absolutely blown away, what a treat. Thanks a mil, we will be back. One of the most amazing villas in Bali. Green landscape makes a more relaxing environment. Thanks to all the villa staff and management. Thank you for your hospitality during our stay, this was our first visit to Bali but not our last. The villa is absolutely beautiful and inviting. The staff were attentive to all our needs. Thank you for providing us with exceptional service and creating a memorable experience. Suksma! The wonderful thing about returning to villa Mana with our family is that we were just as blown away by the beauty, the relaxation and the amazing service as we were when we stayed last year. A holiday in Bali is wonderful. A holiday at Villa Mana is even Better. We will return. Fantastic! What a special place to celebrate a special birthday with beautiful friends. Made and the staff are nothing less than fabulous. Thank you for your kindness, smile and making this time so memorable. The guest on our home wares tour were blown away by the beauty of the location, spacious and dry lounging area and of particular enjoyment was the pool. Our guest enjoyed swimming in the infinity pool morning, noon and night. We had a traditional meal for our " welcoming dinner" - this was absolutely delicious and beautifully presented - Indo style. Whilst we spent the majority of our days shopping and resorting, it was always nice to come home to our villa to relax with swim in house spa treatments and cocktails. As usual Bali has been beautiful and very relaxing. Thank you chef Putu for exquisite food and we've loved dining in. Thanks to all the staff at Villa Mana for their part in making the holiday truly memorable! Thank you so much for making our son's birthday very very special. Putu took care of all our dietary needs. Every one was so patient. We really had fun over here. Life is rarely this sweet. Thank you for bringing us together, taking such care of us and making kavin's birthday weekend so magical. We are still stunned by your beauty. Made and crew were top notch - wonderful, patient, kind and laid back. We ate and swam, slept and played so well. We have had the most amazing stay at the villa. The staff have been absolutely amazing and catered to our every need. The food we had during our stay was delicious, special mention to Putu for that. We will always remember Villa Mana because of our wedding. The guest were blown away by the villa and the attention to detail. We couldn't have asked for a more perfect location for our wedding and will be back in the future for more celebrations. We just want to thank all the staff for making our stay so great. We have loved every minute of it. Thank you for the wonderful service. The team is helpful and responsive to our needs. Wishing the team a great year a head, keep it up! Thank Villa Mana for the most amazing family holiday ever! The view looking out over paddy fields every morning for our yoga was spectacular and we were constantly spoilt by the amazing staff especially Ayu, Putu, Bayu. The chef Putu was incredibly talented and such a kind and warm hearted guy.The food he prepared was so delicious and the feast he prepared for our last night where we were joined by 3 friends was out of this world! House Manager Made was a fantastic organiser, getting us the best sunbeds in the house in Ku De Ta. we can't wait to come back again. Thank you for time most wonderful stay at Villa Mana. We have been looked after so beautifully by all the staff, and Putu is an exceptional chef! We can't thank you all enough! The villa is absolutely stunning, a real oasis! Waking up to this view every morning has been a real treat and we really hope to come back soon. Many thanks. Weather was bad for the first 4 days. rain all the time. But Made, Putu, and gang made us feel very comfortable and the food cooked and served was excellent. So we dined in most night of our 5 night stay. Bravo! We thoroughly enjoyed our stay. Aim to visit Villa Mana again. A beautiful family holiday in this stunning peaceful villa. Absolutely love our stay, spending time with each other in the most luxurious and calming surrounding. Thank you to the friendly, helpful staff and especially to the chef - the food has been exceptional. Very difficult to leave this special place! When can we come back??!! We have been looking forward to this stay/trip for a year or so. Celebrating a birthday with all special people. The staff is amazing!!! No words can describe the friendliness and service they have given us. You did an amazing job, making the birthday very special, with all the decoration. The villa is an amazing place and we will certainly come back!! We love the stay here!! Pool, weather, people, space, big villa is superb!! All meals prepared by the chef are delicious!! Awesome!! Thank you so much for making our stay enjoyable!! Thank you for a great stay. We enjoyed the huge space and beautiful pool, amazing view. The chef did a fantastic job with all the meals. Thanks again. A very special holiday. Thank you all at Villa Mana. Amazing venue for us to share our special day with friends and family from around the world. Plenty of room for 65 guests. Villa staff were great - credit to the chef. Wedding crew enjoyed the time to relax and reflect on wedding of the year. Plenty of room for kids and big kids. Thank you. Villa Mana staff have been amazing through out our entire stay! They made our wedding day the best day of our lives. The place is beautiful and we don't want to leave!! Thank you for having us, we hope that we will be back. We will definitely be recommending to everyone back home to come and stay here. Villa Mana has been on exceptional place to spend a 21st Birthday. The staff have been wonderful, the food delicious and the view from villa simply extraordinary. Made ensured that we had everything we needed at all times, while Putu prepared the best nasi goreng we have been eaten. I would like to thank all of the staff for their efforts in accommodating us during our stay. Staff were great. Food was tops, villa was clean. It was a pleasure to stay here will be back no doubt. Will be counting the days. Well, let's just say the food/chef was absolutely incredible! just delicious! The villa was stunning, definitely exceeded expectations! The staff were incredible. Best hen's do ever! Love you all! Thank you for an amazing stay at Villa Mana, We had an incredible time and extend our gratitude to the staff for their attentiveness and their excellent service. Made, Putu, Arimbawa were all fantastic and really accommodating with all our requests. The food was excellent - our compliments to the chef. We will highly recommend Villa Mana to friends and hope to return soon. And thanks for finding mango for us Putu!!! This trip was the greatest trip I ever had, because the group I came with they are more than brothers and friends. We have had enjoyed our time here at Villa Mana. I wish we spend more time. Just four days from our scheduled arrival, we had our flight to Bali from Australia cancelled. Some quick rearranging saw us arrive at Villa Mana as scheduled - and all of the stress of our flight melted away as we entered this amazing home. Made, Putu and the team here made us feel instantly relaxed with some appetizers, a drink and welcome smile. And so it continued for the whole week of our stay. Our children have virtual lived in the pool, sustained by "the best toasted cheese sandwich ever" (according to our six years old). Meanwhile the adults have enjoyed amazing food, culminating in the Balinese specialty Babi Guling. From our morning coffee to the end of our evenings, the staff have gone out of their way to make this one of the most relaxed and enjoyed holiday ever. At Villa Mana, time stands still, nothing else matters and your soul feels rejuvenated by the amazing spirit, warmth and generosity that this very special piece of Bali exudes. We leave with fond memories. What an incredible 10 days we have had. 2 families with kids stayed at Villa Mana for 9 night and we absolutely loved this place and would definitely come back. The staff were amazing and couldn't do enough for us. The meals were all fabulous and they were always willing to accommodate any of our requests. They were incredible in assisting when one of us fell unwell, organizing the doctor and sending staff to get medication. Thanks to Made and his team for everything and we will be back soon. We had a great time at the villa as 3 families with kids. The staff could not have more attentive, and the quality of food was excellent. The chef cooked everything we asked for and went beyond our request even at short notice. Every staff worked in the villa and the staff even come by bike to collect us when we get stuck at Echo Beach without taxi at New Year. We would definitely return and want to thank Made, Ayu, Bayu, and the rest for making this such a great holiday for us all. Thank you to all at Villa Mana for making our week here so enjoyable! From the fantastic food, beautiful pool and ever-helpful staff, it really was incredible. The BBQ evening to celebrate a birthday was a particular highlight - especially the delicious cake! We couldn't have asked for more. We look forward to returning. Thank you all. We absolutely loved our stay at Villa Mana and hardly left the villa at all. From the beautiful pool and surrounds, to the wonderful staff and amazing lunches and dinner we couldn't have asked for a better time. The chef was incredible and made what ever we asked, highlight included the Nasi Campur main dish and the BBQ whole fish. Divine! Thanks to the staff for making our stay so comfortable. We will be back one day. For some of us, this was a second visit. for others a first time experience to Villa Mana. For all of us, we thank you for providing excellent service, beautiful weather, great facilities and INCREDIBLE food. You can't find better food in Bali. We are already planning a third restaurant back to Villa Mana!!! Loved every minute of our stay! Thank you for making Bali like a second home. Our time at Villa Mana was amazing! Thank you very much to the staff here that were always smiling, helpful, taking our many photos and cooking very delicious meal. We will definitely comeback if we have a chance. What a wonderful villa and a perfect stay. The staff was very attentive - looking after our every need The food was some of the best food we ever had! I love the design and layout of the property. The pool and hanging garden are my favorite part. Thanks for making our stay unforgettable. Very hard to describe the amazing time we have had at Villa Mana. The service has been faultless, the Villa and it's surrounds have been absolutly beautiful but we most fondly remember the world class food we have eaten here! We are so sad to leave, but we will be back again for sure. Thank you Made and team! You guys are the best. What a serene place, what a delicate and dedicated service, what a perfect house to be with our loved ones. But above all - all our greatest regards to the warm and friendly staff. Every night we have enjoyed the best dishes from the house. We tasted the passion for the finest food. The chef was great. Thank you to all the wonderful staff for such wonderful service. The food has been amazing! The rooms are large and kept very clean. All staff have been so helpful and attentive. I wouldn't hesitate to come back again or recommend Villa Mana to friends. Thank you once again. We stayed at Villa Mana over the Queen's Birthday with 10 other friends. It was amazing to say least. From the moment that you walk in through the entrance, everything is amazing and serene. The team is quietly attentive and know and care for all your needs so you can just put your legs up and relax. Thanks everyone for the wonderful time. Thank you for the service and excellent food. If we going back to Bali, for sure will back for this place, also will tell our friend and family for great villa. Deepest thanks for our wonderful stay. We had a very special week at Villa Mana. Such a peaceful, beautiful place how privileged we are to have stayed here. The staff all so warm and welcoming in the wonderful Balinese way and the food! Putu and the team continuously delighted us with the most delicious meals!! We will miss this place but the memories will last a long time! The villa is wonderful. It's spacious, open and well maintained! The staff were helpful and wonderful during our stay. The chef is really awesome! He whips up lovely Western and local dishes for both the young and the old! We have been telling friends about the villa and I'm sure we'll be back sometime soon. The meals cooked by the chef were truly the highlight of our stay. He whipped up a feast for us meal after meal! Much better than most restaurants in Seminyak. The Villa manager, Made, was friendly and made sure our needs were all met. He was very accommodating. The staff were equally friendly and helpful. Overall a great place to stay! Mr Made and the staff were very helpful and courteous. The chef also cooked very delicious food. The hospitality of the staff needs to be complimented. We absolutely loved our stay at Villa Mana. It was so luxurious. From our fantastic daily welcome by Made, to the best local food cooked by Putu and his team we were treated so well by all the villa staff. The outlook over the rice paddies is spectacular; we didn't want to get out of the infinity pool; and although we tried I still don't think we managed to make use of all the day bed relaxation spaces around the villa! 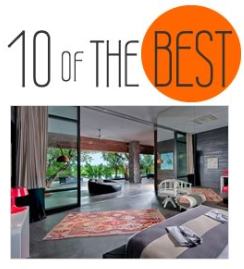 The bedrooms and bathrooms were incredibly spacious, great views and beautiful decor. Just make sure you bring your ear plugs for the morning temple prayers over the road. We just wished we could stay forever! Beautiful villa. Amazing staff. Chef makes incredible food. Highly recommended. It truly was a beautiful villa! 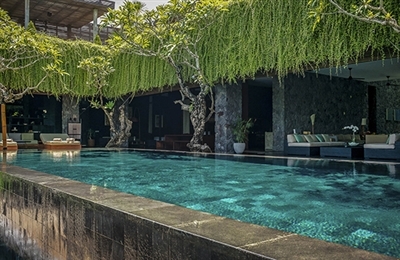 After staying in the heart of Seminyak - this villa felt rural and retreatlike! starting off our first day with 4 massages on the top deck at sunset was truly the way to do it! food impeccable and the rooms amazing!! Pool and soccer pitch a brilliant entertainer for the kids! This villa was beautiful, spacious and just perfect for large groups with children across a variety of ages. The villa itself is stunning and beautiful but Made and his staff made it for us! They were the highlight of our time there. 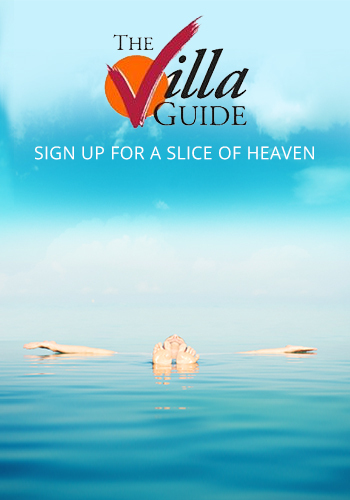 Excellent villa and great staff! Look forward to returning. We enjoyed our stay at villa mana mana. Great staff expecially the chef,ayu (buttler) and nyoman (manager). Fantastic food and charming hospitability. Amazing villa, much bigger than it looks on the website and so many places to chill & relax. The paddy field views are fantastic, especially at sunset. Highly recommended if you want to get away from the hustle and crowds of the more Touristy areas of Bali and yet still only 20 minutes drive from Seminyak. Villa mana is one of the most amazing places we have ever stayed. Everything was wonderful and we will definitely go back again. based on 69 user reviews. We absolutely loved Villa Mana. Not only were the views amazing, its openness liberating and the design super-chic – an architectural dream – but it was also very comfortable, with so many places to lie back and relax, even when the villa is full. Sofas and loungers seemed supersized, and were the perfect accompaniments to sleeping and reading or languidly watching the farmers hard at work in their paddy fields.